← Happy New Year Fashion Flash! 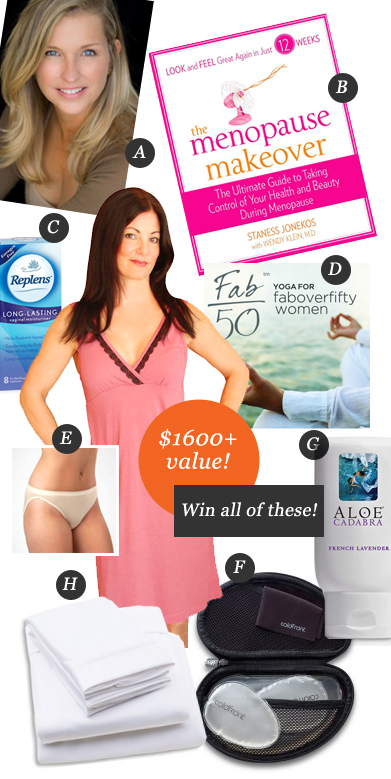 Karin from Detroit won this FabOverFifty.com Menopause Makever – CONGRATS! 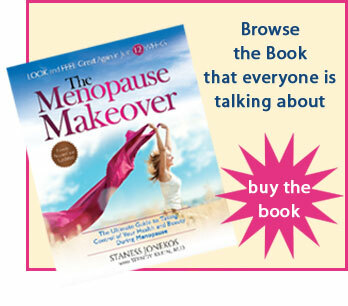 One lucky FOF will win a Menopause Makeover with author and women’s health expert, Staness Jonekos. Staness will assess your menopause symptoms, eating, exercise habits, and day-to-day life, then help you create a custom 12-week plan to help you manage your menopause and lose weight. You’ll get a copy ofThe Menopause Makeover and Staness’ top ten products for surviving menopause and achieving a healthy lifestyle. Plus, she’ll personally check in with you throughout the 12 weeks to make sure you’re on track for a brand new bod by springtime. beauty using the Menopause Makeover 8-step, 12-week plan. Her book, The Menopause Makeover (Harlequin 2010) chronicles Staness’s journey through months of research, doctor visits, diets and hormones in an effort to get her life and her body back before her wedding day. The result: a straightforward, expertly-researched guide to managing your menopause based on her own 12-week turnaround. Ladies this is a FABULOUS giveaway, click here to enter today!!! !